In Asda Stores Limited v Brierley, the question before the Court of Appeal was whether or not thousands of women who worked at Asda’s retail stores could compare themselves with male members of staff who worked at the company’s distribution depots for the purposes of their equal pay claim. The depot workers, who unlike their retail colleagues had the benefit of established union representation and collective bargaining agreements, were paid a higher salary. The Employment Appeal Tribunal (EAT) subsequently rejected Asda’s challenge to that ruling. It took a different approach, finding that Article 157 of the Treaty on the Functioning of the European Union conferred an unconditional right to equal pay both on those who carry out like work and on those who perform work of equal value. The fact that the retail and depot workers had their pay and conditions determined by a single source – the Executive Board was responsible for differences in pay and could, subject to the overarching control of Asda’s parent company Wal-Mart, have corrected any pay inequality – was sufficient to permit a comparison to be made. Asda’s argument that there must also be a single establishment, collective agreement or statutory framework was rejected. The better view of the law was that the comparison could be made using the established hypothetical test which enables comparisons between workers who do not and never would work in the same location. In dismissing Asda’s challenge to that outcome, the Court of Appeal found that the ET had reached the correct result whilst disagreeing with aspects of its reasoning. In posing itself the question whether there were common terms and conditions generally between the retail and distribution workers, it had conducted wholly the wrong exercise. 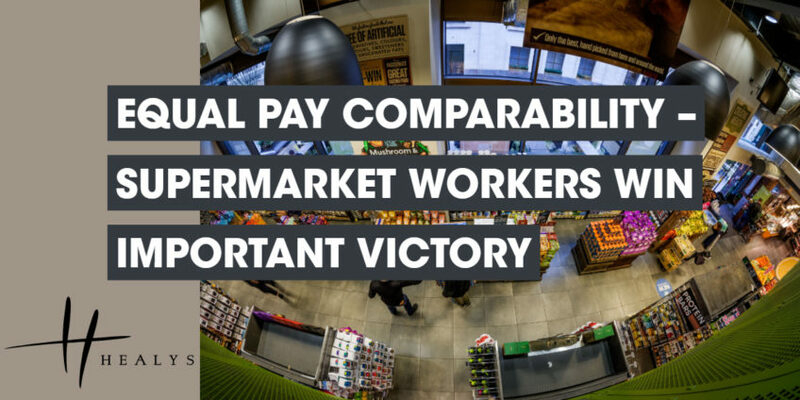 The issue for the ET to decide was whether broadly common terms applied to retail and distribution workers, regardless of where they worked. Given that no retail workers were in fact employed in depots, or distribution workers in stores, that question was necessarily hypothetical. Detailed argument and evidence going into minute comparisons between the terms which applied to the two sets of workers were thus irrelevant and the preliminary issue could have been resolved on the straightforward basis that the chain’s terms for retail and distribution workers both applied wherever they worked. The Court noted that it would be no credit to the law if the kind of elaborate and confusing exercise that the ET had been encouraged to undertake were required in order to establish whether the statutory comparison could be made.